Intra-articular hyaluronic acid is no longer recommended, and the recommended dose of acetaminophen is reduced. Ethical Alternative Products is making available free trial samples of OmniFlex multi-nutrient joint health formula. Intra-articular Hyaluronic Acid: Intra-articular hyaluronic acid is no longer recommended as a method of treatment for patients with symptomatic osteoarthritis of the knee. Acetaminophen: The recommended dosage was reduced from 4000 mg to 3000 mg per day. Most of the other recommendations in the 2009 CPG remain unchanged. CPG’s serve as a point of reference and educational tool for both primary care physicians and orthopedic surgeons. 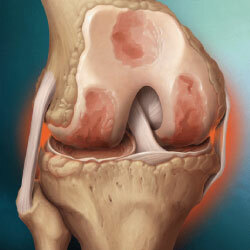 Osteoarthritis can affect any joint in the body, and is commonly known as “wear and tear” arthritis. It affects some 33 million Americans and is the leading cause of physical disability. Patients who only display symptoms of osteoarthritis, and no other problems, should not be treated with arthroscopic lavage. Patients with a Body Mass Index (BMI) greater than 25 should lose a minimum of five percent of their body weight. Patients should begin or increase their participation in low impact aerobic exercise. Aside from not recommending the use of the joint supplements glucosamine and chondroitin, the CPG does not address the use of newer joint health products. “Ethical Alternative Products has pioneered a new direction in joint health with the formulation of the OmniFlex multi-nutrient product” stated Gerald Bruno, Ph.D., who did personal research on optimizing the formula. OmniFlex contains fish oil, krill oil, rosehips, BioCell collagen, and pine bark extract. Unlike surgical intervention and the use of pain killers and non-steroidal anti-inflammatory drugs (NSAID’s), there are no negative effects from using a combination of the health promoting natural ingredients contained in OmniFlex. A free sample of OmniFlex can be obtained at http://www.getomniflex.com. Ethical Alternative Products manufactures a select line of scientifically sound supplement products, combining powerful natural substances with innovative formulations that enhance product performance. Products offered include ThioGel solubilized alpha lipoic acid, ThioGel-L triple anti-oxidant liver formula, Tendonex topical pain relief, and OmniFlex.